Loogui the owner was very helpful in providing needed information and helped with an issue we had with money in euros and overall very nice? The breakfast was great, in a nice cafe downstairs. You just give them the voucher and can choose what you want - good coffee and hot croissants. Helpful staff. We did not use the kitchen facilities but they looked accommodating. 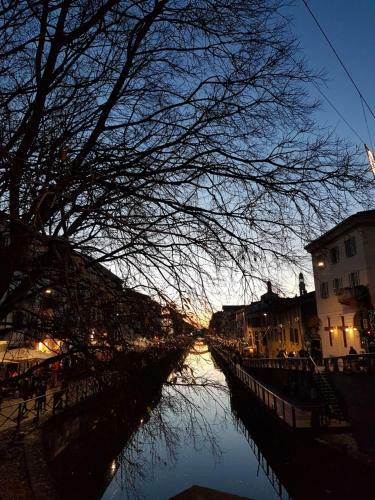 Great location for going out to the Navigli - a very fun area packed full of bars and restaurants, plus we walked to the Duomo is about 20 minutes. Great shopping along the way too! 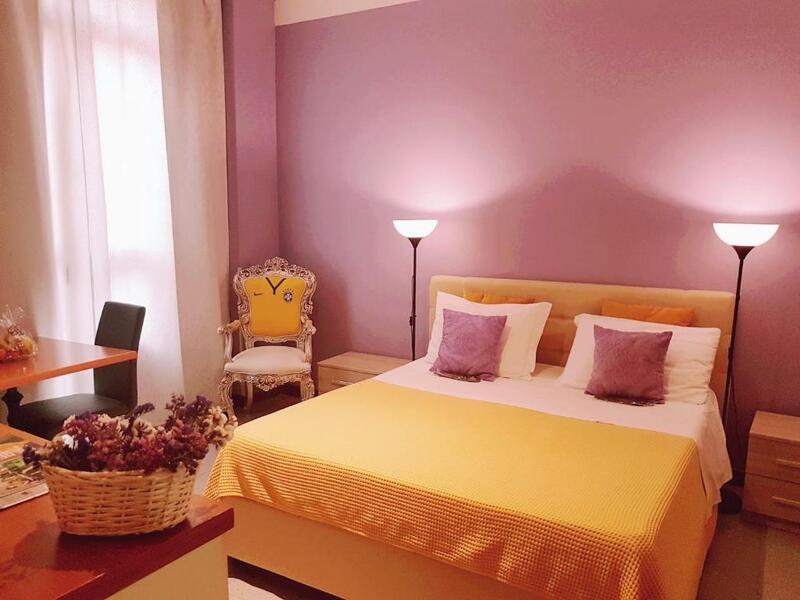 The location of the hotel is perfect, right next to most happening region in Milan navigli. Metro and tram station are just a minute walk away. In terms of Hospitality the staff is amazing. The room was very nice and it was quiet wifi is great. Clean very cute and cozy. Exceptional. The room was quite big and had a fully equipped kitchen. Also, the hotel is only about 4 minutes away from the metro and has a central location. I‘d most certainly recommend it to friends and family. Lock in a great price for Residence Aramis Milan Downtown – rated 8.9 by recent guests! Featuring free parking, Residence Aramis Milan Downtown is located in Milan, just 1.1 miles from Milan Cathedral. Piccolo Theater is one mile from the property. All units have a sitting and dining area. There is also a kitchenette, equipped with a microwave, refrigerator and stovetop. Mini-bar is also provided, as well as a coffee machine and a kettle. There is a private bathroom with a bathtub and slippers in every unit. Towels and bed linen are available. Leonardo da Vinci's The Last Supper is 1.1 miles from Aramis Milan Downtown, and Strehler Theater is 1.3 miles away. The nearest airport is Linate Airport, 6 miles from the property. 뀐 Located in the top-rated area in Milan, this property has an excellent location score of 9.2! When would you like to stay at Residence Aramis Milan Downtown? This room with attached bathroom features a balcony and free WiFi. The bathroom includes a bathtub with shower. Please note that one of the rooms is located on the fifth floor, and the elevator only reaches floor 4. Bed linen and towels are included, and changed every 3 nights. Daily cleaning is provided from Monday to Friday. This studio features air conditioning, soundproofing and microwave. Bed linen and towels are included, and changed every 3 nights. Daily cleaning is provided from Monday to Friday. This double room features soundproofing, air conditioning and microwave. This apartment features air conditioning, soundproofing and microwave. Bed linen and towels are included, and changed every 3 nights. Daily cleaning is provided from Monday to Friday. This air-conditioned and soundproofed room features a microwave. Area Info – This neighborhood is a great choice for travelers interested in restaurants, museums and culture – Check location Excellent location – show map Guests loved walking around the neighborhood! House Rules Residence Aramis Milan Downtown takes special requests – add in the next step! ATM card Residence Aramis Milan Downtown accepts these cards and reserves the right to temporarily hold an amount prior to arrival. Residence Aramis Milan Downtown accepts these cards and reserves the right to temporarily hold an amount prior to arrival. Please note, the free parking can be accessed daily from 9:30 until 20:00. It should be requested when booking. Please inform Residence Aramis Milan Downtown of your expected arrival time in advance. You can use the Special Requests box when booking, or contact the property directly using the contact details in your confirmation. Personal are very friendly and hospitality was excellent! I satisfaied everything with the people who working at the hotel. I definitely want to come back this hotel. Excellent place to stay near at the canal (where you can find lots of restaurant and bars) 5 minutes walk to the metro.. 25 minutes walk to the city. 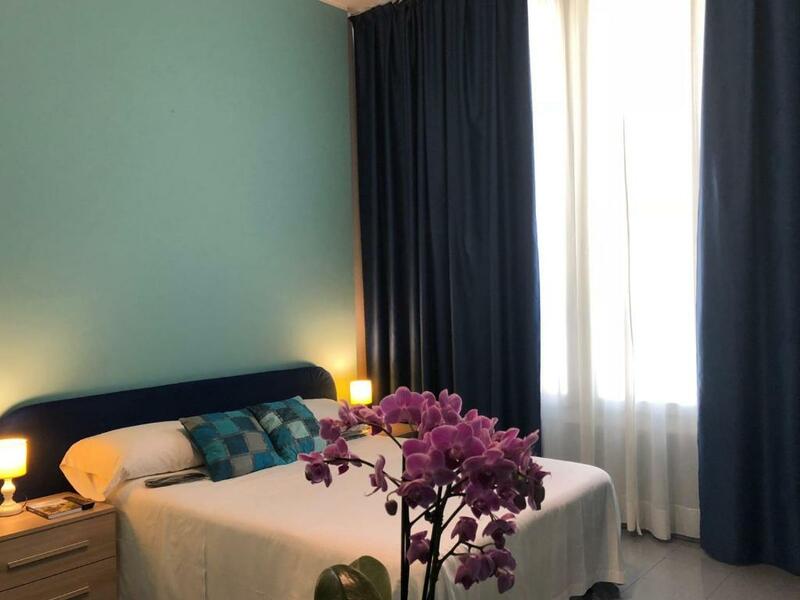 Room is comfortable, staff is friendly, excellent location in the place with big choice of restaurants, 15 minutes walk to Duomo and just 5 min to Metro station, small but taste breakfast in the cafe nearby. Definitely I'll stay here in case of the next time visit. The room is big enough, well equipped and very comfy. Staff is quite friendly. Location is very close to the canal and bars. Location was nice. Very close to Navigli and numerous restaurants. Close to bublic transport. Room was basic but clean. Welcome fruit basket. Free parking on the garage nearby. Location is about 30 minutes of walking to Duomo square. Nice location 25 min walk from Duomo. Nice restaurants nearby. Has a parking place - very important, cause there is really no place to park close to the center. Great apartment just a few minutes walk from a the city center and 2 steps from Navigli. Paid 433 euros for 2 nights in a 2 star hotel. Wasn’t aware of 10% cleaning fee. A complete rip offfor 2 star hotel.